Concord Hospitality Enterprises and Kane Realty announced Thursday that they will develop the state’s first AC Hotel at North Hills. The 133-room hotel is to be located on the east side of Six Forks Road near the Captrust office tower. The project is the third hotel that Raleigh-based Concord and Kane have developed at North Hills. 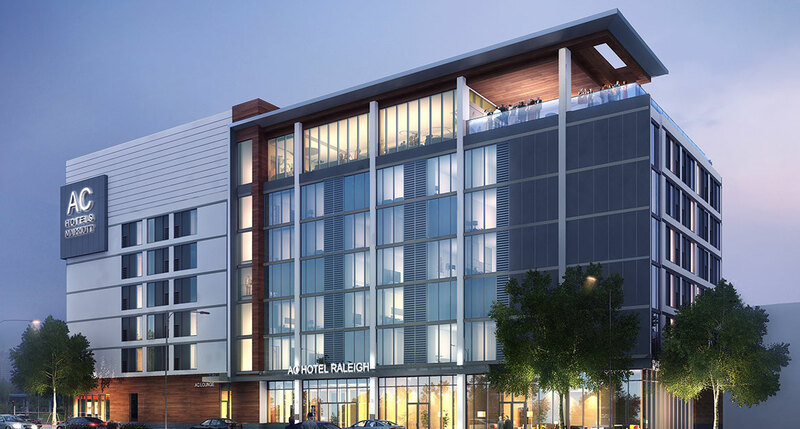 The two also partnered on the Renaissance Raleigh and the recently opened Hyatt House Hotel. The AC Hotel is expected to open sometime next year. AC is one of Marriott’s upscale brands. Most of the nearly 100 hotels that now carry the AC flag are in Europe, but more than 30 are expected to open in the U.S. and Latin America over the next three years. The hotel project joins a growing list of new construction activity at North Hills. Kane is now building a second 18-story office tower and has plans to construct two more apartment communities. A 175-unit complex is expected to break ground in the first quarter of this year. Kane is also building the Stanhope Center, a student housing and retail project, on Hillsborough Street near N.C. State University. The developer also filed a rezoning request last week to develop a 2.5-acre block in downtown Raleigh’s warehouse district.